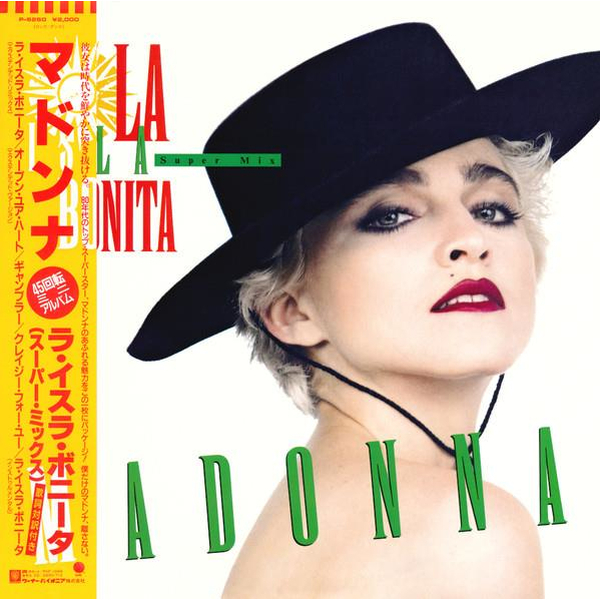 Replica of the Japan-only EP release of ?La Isla Bonita: Super Mix EP?, originally released on May 1987 by Warner-Pioneer Japan. Includes ?La Isla Bonita? (Extended remix), ?Open Your Heart? (Extended Version), ?Gambler?, ?Crazy for You? and ?La Isla Bonita? (Instrumental). This version appears on green colour vinyl. Limited to 12,500 copies worldwide.